Venetia Wynter-Blyth has been named as RCN nurse of the year 2016 for her holistic approach to getting patients both physically and psychologically fit for surgery. 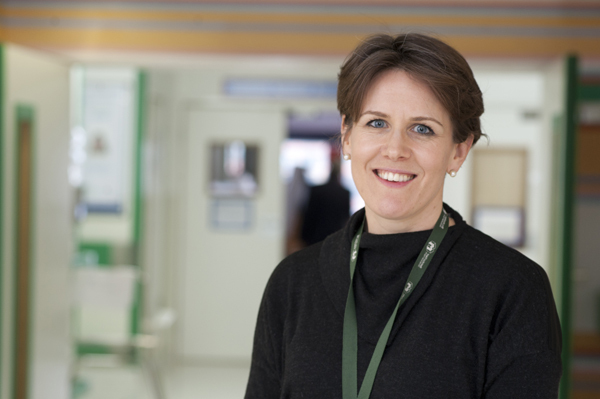 Ms Wynter-Blyth, lead upper gastrointestinal clinical nurse specialist at Imperial College Healthcare NHS Trust, invented a method that has helped 80 patients in two years to be fully involved in their cancer treatment. She received her award from RCN general secretary Janet Davies, its president Cecilia Amin and comedian Lucy Porter during a ceremony at the Westminster Park Plaza Hotel in London this evening (May 6). Amanda Burston, who won the award last year and was one of the judges this year, described Ms Wynter-Blyth’s programme as ‘outstanding and powerful’. Ms Wynter-Blyth founded the PREPARE system which stands for: physical activity; removal of bad habits; eat well; psychological wellbeing; ask about medications; respiratory exercises; enhanced recovery. Before the PREPARE programme, Ms Wynter-Blyth said there was little or no structured support to help them prepare to have major surgery after being diagnosed with cancer. ‘This left a lot of patients feeling anxious and like they had no control over what was happening to them,’ she told RCNi. Ms Wynter-Blyth and her team were also named winners of the Innovations in Your Specialty category presented by the senior partnership manager of sponsors LV=, Chris Brooks.